Under the present Defence Procurement Procedure, it would have been a nightmare, and a long, long one at that, to build 108 Rafales in India. Modi realised this and took the wise decision, though it is a definitive setback for his Make in India scheme,’ says Claude Arpi. Narendra Modi knows how to calculate and remain pragmatic. 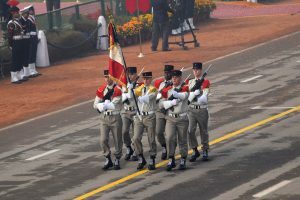 Take the unexpected Rafale deal — perhaps the first time a PM has considered the country’s defence procurement as a priority, over the considerations of the babus’ and over his own ‘Make in India’ project,’ says Claude Arpi. Another highlight of Modi’s first day in Paris (he arrived late in the evening of the previous day) was the visit to UNESCO and his speech on Indian and Universal values. Before reaching the main auditorium, he was received by Madam Irena Bokova (read my interview with the UNESCO’s Director General) in front of Sri Aurobindo statue outside the building. 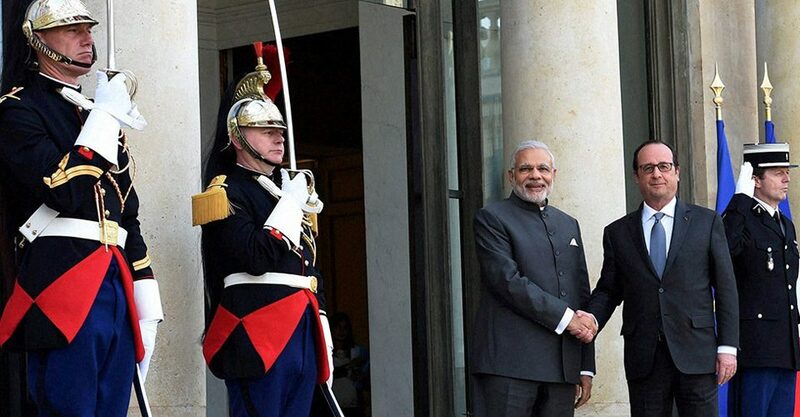 ‘Make in India’ will be central to Mr Modi’s visit to Europe and Canada. It is difficult to predict what will happen with the Rafale deal, but if it goes through, it will undoubtedly become the ‘Mother’ of all ‘Make in India’ projects,’ says Claude Arpi.